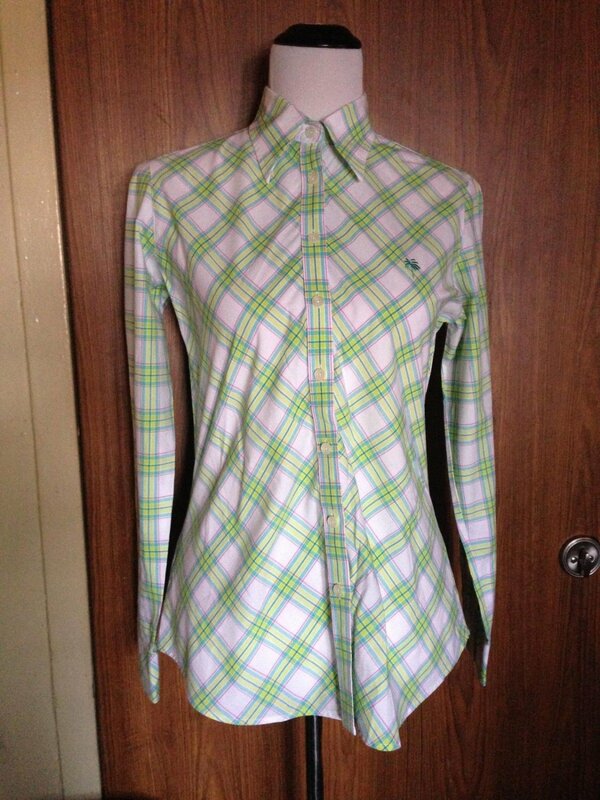 LILY PULITZER Multicolor Plaid 100% Cotton White, Green, Pink Button Down SZ 8 LILLY PULITZER Multicolor Plaid 100% Cotton White, Green, Pink Button Down SZ 8 LILLY PULITZER Multicolor Plaid 100% Cotton White, Green, Pink Button Down SZ 8Size 8100% cottonMade in Vietnam Laid flat this top measures 16" shoulders, 38" bust, 24" in length, and 23" sleeve length Terms of Sale: All of my merchandise is authentic, I do not sell fakes. Buyer must pay for item within 2 days or contract is void. I only accept Paypal and ship to the address Paypal has on file-no exceptions! Note to International Buyers: Please click on shipping tab for rates & shipping options. I do not mark gift on any customs forms. I can not control how long it takes for your item to clear customs. NWOT TRUE RELIGION Dark Wash Drainpipe Jeans SZ 26 Made in USA "Joey"